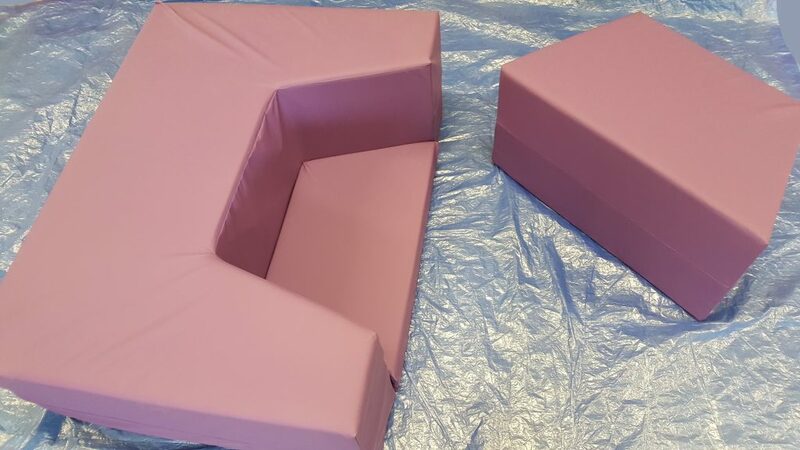 Following the popularity of the SoftBirth birthing couch, we’ve been asked to make a small birthing couch that will fit into smaller birthing rooms or in the back of a small car. Here she is! The mini couch kit is made of the same fully cleanable PU material as the full-size SoftBirth birthing couch kit. It is double lined for additional safety too and the zips are covered by wide flaps. The dinky birthing couch is 115cm long x 85cm wide by 40cm high. Just like its big sister, it has the pull-out seat for partner or midwife. And a shaped kneeler so that the birthing mum can kneel into the recess and lean into it. 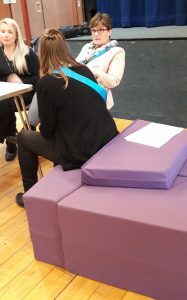 We met Wendy Cutchie, HoM for MLUs across Shropshire at #SaTHFMU conference and she asked for a smaller version of the SoftBirth birthing couch. So, we’ve made her one. 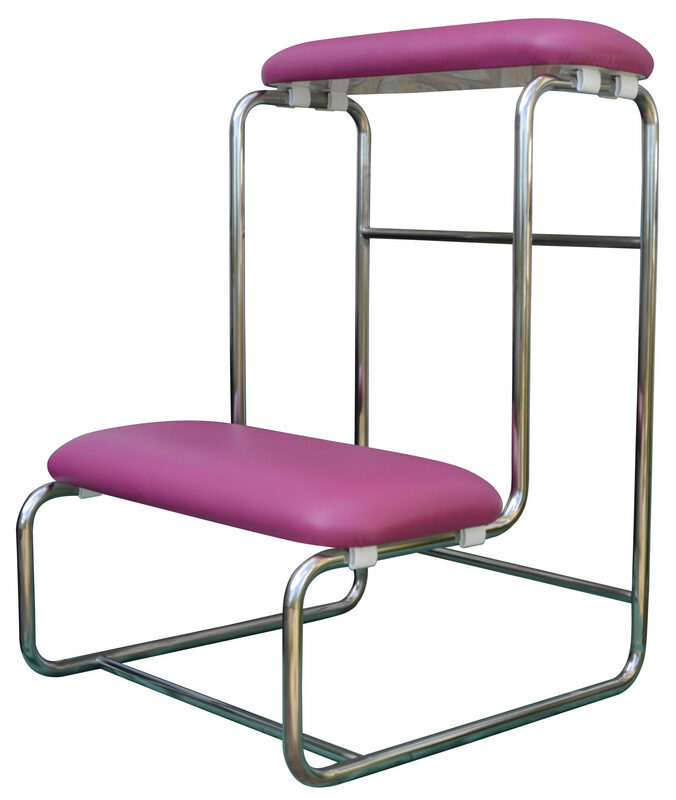 We can turn round new products very quickly and cheaply. Midwives from Burton Hospital also asked us for a breast-feeding cushion to sit on top of the birthing couch. That has been designed and is ready. We’re looking for a hospital (with a couch) who’d like to trial it for us. Get in touch if you’re interested. We can turn around new products very quickly. So, if there any things you’d like us to design for you, get in touch! We’d love to make something for you. The smaller birthing couch with Midwives. The dinky birth couch had its first outing to a meeting of the ARM at Wigan (#Warm17) last week. How much is a dinky birthing couch kit? The special offer price on the full size SoftBirth birthing couch kit comes to an end on the 31st March. The dinky birthing couch comes in at an introductory price below £600 with FREE delivery in the UK. At today’s conference at Shrewsbury Hospital (#SaTHFMU) there was a quote from Baroness Cumberlege that would not break easily into 140 characters. It was a piece of feedback from a mother to a maternity consultation about how she wanted her care to be. Don’t overwhelm me with your paperwork. I decide what is important. It is our new family that make decisions. Wrap your services around this. Not me round your service.